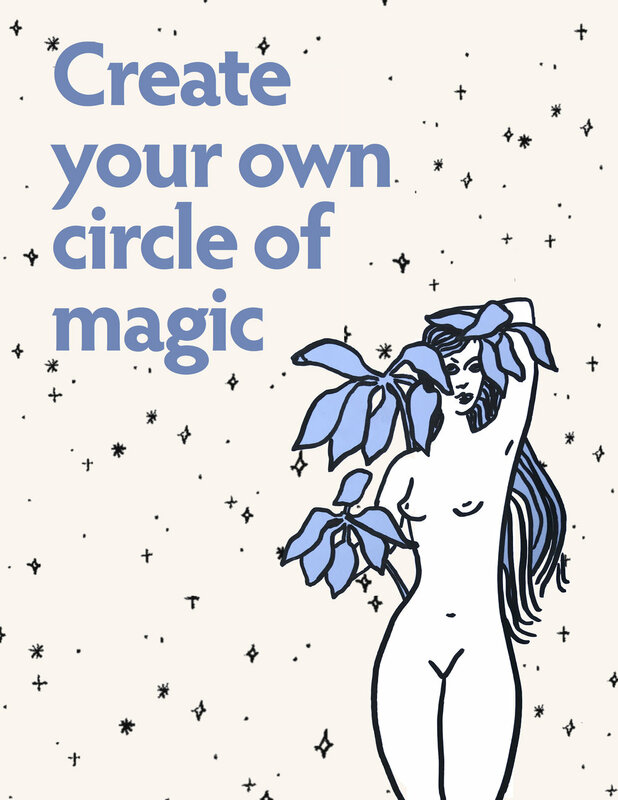 Circle of Magic circles are small groups of 6-8 women who come together every month to support each other’s creative goals. It’s kinda like a book club, but in reverse: instead of reading stuff together, we make things and put them out in the world. Gathering in the circle is not your run-of-the-mill chit chat over a glass of wine (though wine is often encouraged), but a format that helps you get deeper and more intentional with each other. It can be lonely trying to create on your own. If you’ve been struggling to get an idea off the ground and want a supportive group of accountability partners to finally make it happen, you’ve landed in the right place. We’re unstoppable together, girls. Each circle follows a similar format. Our form of an icebreaker, each person shares their brags and blocks. Each person has time to reflect on their own to get the ideas flowing. Each person gets 12-15 minutes in the “warm seat” to share what’s on their mind and be held by the rest of the group. We close with a blessing to the group, and decide on a time and place for the next gathering. We put together a handy (and pretty!) little guidebook that walks you through what it’s like to be apart of a circle. Add your info here to download the pack.